LOS ANGELES, Calif. (February 3, 2015) – Twentieth Century Fox Home Entertainment, Fox Searchlight Pictures and Regency Enterprises invite audiences to take flight with a New Regency / M Productions / Le Grisbi production, BIRDMAN or (The Unexpected Virtue of Ignorance). Winner of two Golden Globes® Awards and nine Academy Awards nominations, including Best Picture, the critically-acclaimed film soars onto Blu-ray™ and DVD February 17 and is now available on Digital HD™. 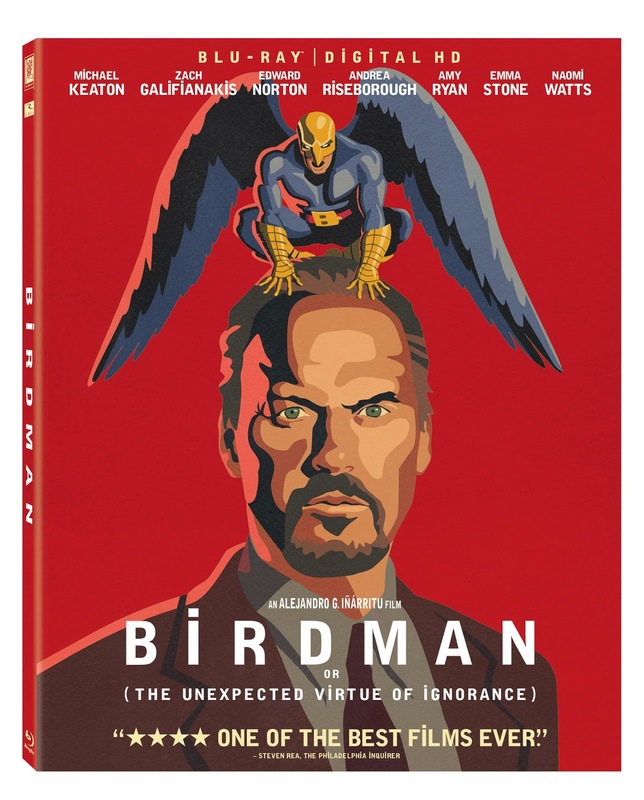 “Daring, devastating, and howlingly funny; [with] Michael Keaton delivering the best performance of his career” (Peter Travers, Rolling Stone), BIRDMAN has been hailed as one of the most exciting and talked about films of 2014. Featured on over 168 top ten lists, BIRDMAN has garnered attention worldwide and has received more than 200 nominations from such esteemed groups as the Academy of Motion Picture Arts & Sciences, receiving nine Academy Award nominations, including “Best Picture,” won two Golden Globe awards (“Best Performance by an Actor,” “Best Screenplay”), received the Darryl F. Zanuck, Producer of the Year Award for “Best Motion Picture,” as well as a Screen Actors Guild award (“Best Ensemble,”) and has also been nominated for six Spirit Awards, including “Best Feature.” BIRDMAN has also earned nods from the American Film Institute, the National Board of Review and the New York Film Critics Online.